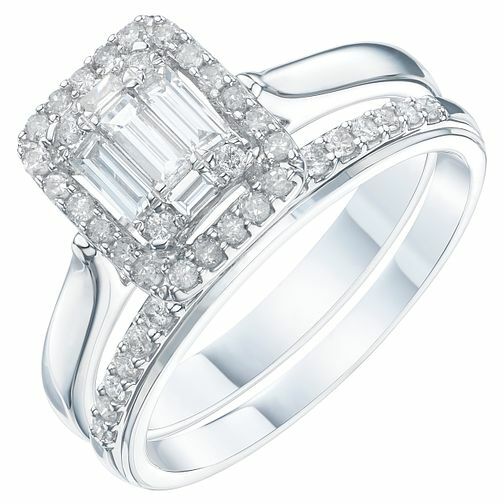 An effortlessly elegant 9ct white gold bridal ring set from the desirable Perfect Fit collection. The stunning engagement ring is styled with a sparkling central collection of baguette cut diamonds with a dazzling diamond surround, and sitting alongside it is a glittering diamond set wedding band. Perfect for your special day.